I know initially this question might come across stupid and obvious but all is not as it seems. I want to measure the voltage drop over a 10M ohm resistor but my voltmeter's probes have an impedance of ~10M ohm, so if I try to measure the voltage drop the conventional way (i.e. put in parallel with load) but that would then cause the resistor value to half as it would make two 10M ohms in parallel giving ~5M ohm. This is a similar situation if you just try and measure the voltage either side of the resistor, when you try and measure the lower potential side it will create a voltage divider and just gives me half the input voltage which is somewhat undesirable and highly inconvenient. So my question to you folks is, how can I measure the drop over a large resistor without inadvertently putting an extra load on the circuit caused by the measurement equipment? It is being used as a pull up resistor either on its own or as part of a transistor level translator (I have not yet decided on that) in order to get this pin to detect a logic 1 without drawing too much current. 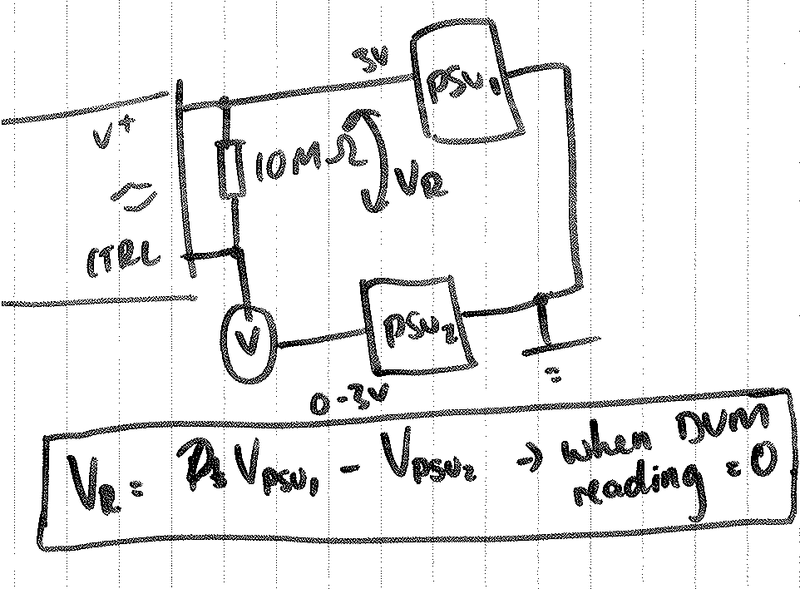 Note that the output of the MCU will only be ~2VDC which will cause the chip to drain more current than I would like it to, I haven't yet had time to think fully about how I will have this bit set up but this is the basic premise. This question is not about the amount of current that will be drawn, just purely about measuring the drop over a large resistor which is not connected straight to ground and any attempt to use a multimeter in the normal way would cause errors in results dues to probe resistance. Measure the current flowing through the resistor, then calculate the voltage drop across it (Ohms Law). Create a Voltage Follower circuit with a much higher input impedance and measure the output voltage of that. However, by what you're describing, I'm not sure you're using the resistor right in the first place. Please expand your question with a schematic and a full reasoning behind the use of the resistor. An op-amp buffer (unity gain) with CMOS input can be used. For example an LMC6062 has fA leakage and 100uV maximum Vos. It will need about a 6V single supply minimum (9V battery would work fine) in order to measure 3V. If you really want to get down to electrometer-style leakage, special construction techniques are required, but for 10M\$\Omega\$ measurements to 1% (1G\$\Omega\$) nothing special is required, just normal care, clean after soldering (and avoid no-clean solder flux). JFETs have input resistances in the teraohms. Using a JFET amplifier or using a specialized DMM with a JFET input will allow you to measure such a voltage drop. I usually do that with a pair of LF356 connected as unity gain or gain x2. If one end of your resistor is grounded, you need only one LF356 on the high impedance end of the resistor. Make sure that you supply your LF356 with sufficient voltage to avoid saturation around ground and around positive supply (3 V below ground and 3 V above supply is good). I found a method shortly after posting this question which was very easy to implement and didn't involve implementing a new circuit with components I don't have. So it was one of my colleagues that told me this method and I thought it was a really quick and easy work around for the problem that I was having. All you need to do is get a second power supply and a voltmeter and connect the PSU to the voltmeter and then the other lead to the 'output' of the resistor. So the original PSU is connected to where power will be and the new one is in series with the DVM connected to where the resistor goes to, in my case - the CTRL pin on the switch. Now you have this set up, have the original power supply to whatever voltage it needs to be at (in this case 3V) and have the second starting from 0V. Increase the second one while reading the voltage 'drop' on the DVM and as you increase the PSU voltage, this difference should go down. Continue to increase the voltage until the reading on the DVM display is at 0V - this means that the voltage at the CTRL pin is the same as the voltage from the PSU. You can then disconnect everything but keep the values the same, measure the voltages out of the PSU's (if you don't trust / have the output displays on them) and you can get the voltage drop over the large resistor by finding the difference between the two power supplies. Not the answer you're looking for? Browse other questions tagged voltage measurement multimeter voltage-measurement or ask your own question. 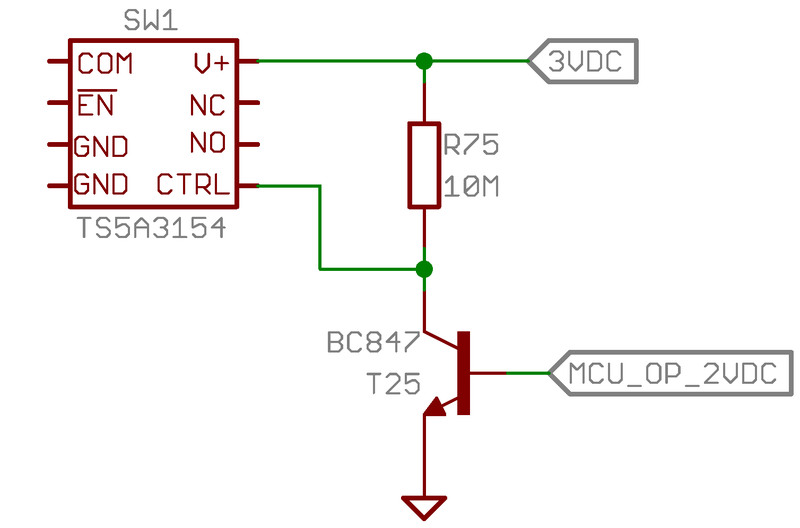 How do I measure the current flow to a component? How does the electricity “know” the ratio of the resistance in a voltage divider? What happens when the voltage drop does not equal voltage rise in a closed series circuit? Why is voltage 0 after the last component in a circuit given electron current flows from negative to positive? How do security alarm systems measure zone resistance? VGA levels, why are they wrong? Is it possible to measure the voltage and current of a load with this circuit and Arduino?